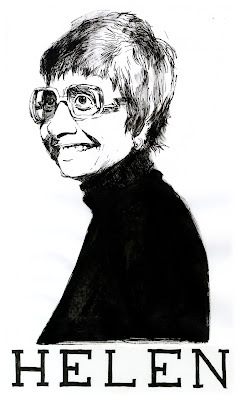 The lovely Helen S. Astin, psychologist, author, Professor Emeritus at UCLA, Senior Scholar at the Higher Education Research Institute, and all-around wonderfully smiley woman. Head on over to the PS blog to see more Helens. 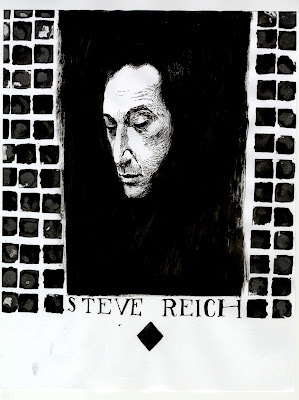 Whenever I end up listening to Music for 18 Musicians, Six Pianos, Triple Quartet Duet, Tehillim, Variations for Winds, Strings, and Keyboards, and so on, I want to hug Steve Reich. I have Ben to thank for introducing me to this awesome dude's music. 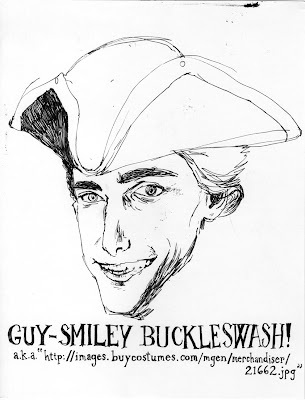 Portland Studios, the place where I work, is publishing a zine I made. 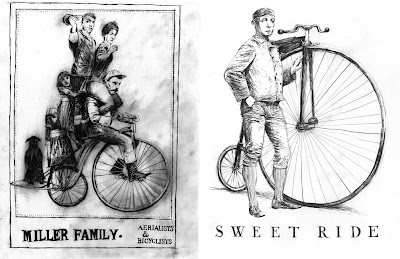 It's called "Sweet Ride" and is a collection of 26 drawings of people with bicycles, tricycles, and unicycles, based on old photographs from way back when. 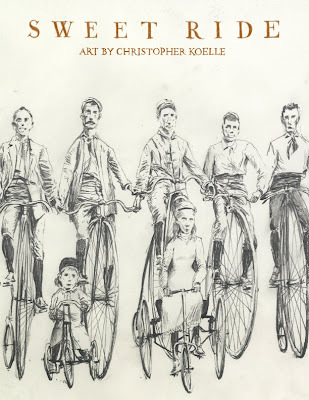 32 pages, color cover with wraparound artwork, black & white interior art. 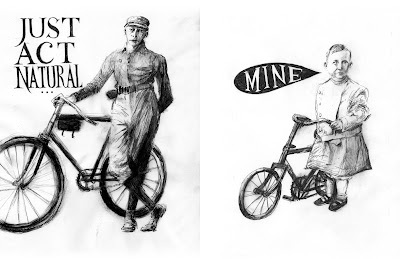 The drawings were done in pencil, ink, and charcoal, including entirely hand-lettered text written by me (with a little help from a very clever Mollie Greene on one of the drawings, and of course some help from my also very clever wife Annie). Thanks again, girls. 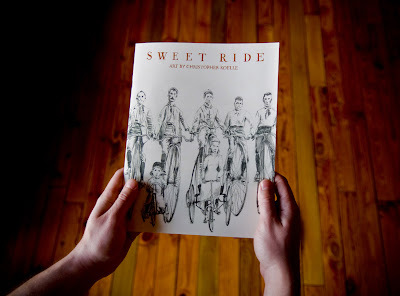 Each and every copy of "Sweet Ride" will be signed and numbered by me. Yes sirree, limited edition, each signed and numbered. It will be available in about a week exclusively at the Portland Studios store. 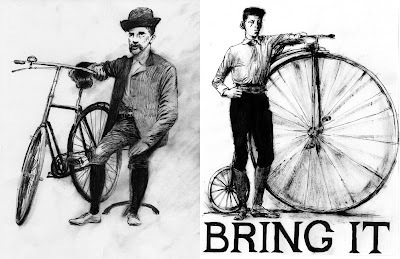 All of the original pencil, ink, and charcoal drawings will be available for purchase as well. Ah, parting is such sweet sorrow.